← Happy Meal Toys, Chicken McNuggets and My Little Boy! 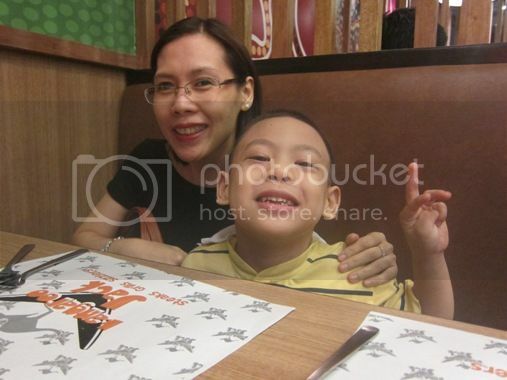 Last Saturday, February 4, we went to scout out a new place to eat in Robinsons Galleria. We found Kangaroo Jack (KJ) and decided to try Australian cuisine. KJ offers steaks, grills and sizzlers. It was supposed to be my birthday blowout, too. January 31 was my birthday actually, but we did not celebrate on that day because hubby and I were busy working. This was for our little boy. He dipped his French fries in ketchup, and he liked them a lot. He almost finished this huge plate. LOL! Tanigue grilled to its perfection, topped with ala pobre sauce. 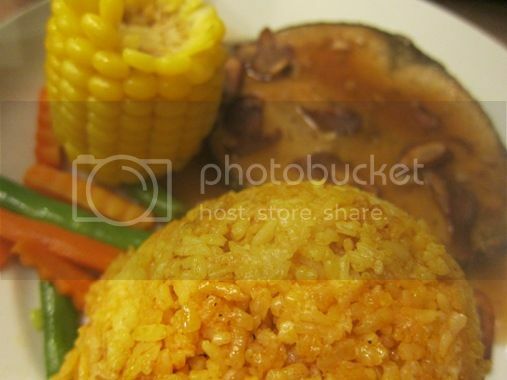 Served with Java rice, veggies and corn on a cob. This was my order. The tanigue steak was soft and juicy, and the garlic slices on top added a tasty zing to this grilled fish. There was nothing special about the Java rice, though. Surprisingly, I enjoyed the corn on a cob because it was so sweet and succulent! Grilled chicken fillet with teriyaki sauce. 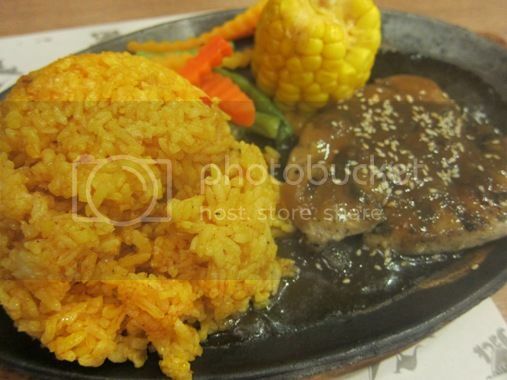 Served sizzling with Java rice, steamed veggies and corn on a cob. This was for Justin’s yaya. She said her chicken was a bit salty. 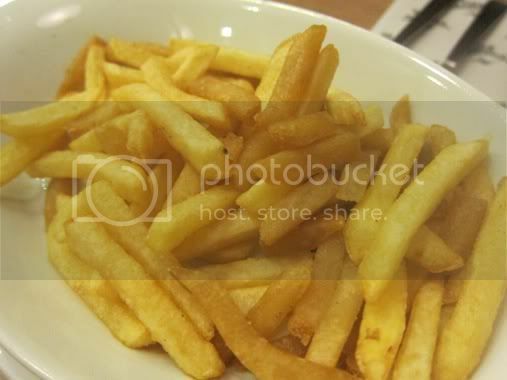 I also noticed that the serving was too small. 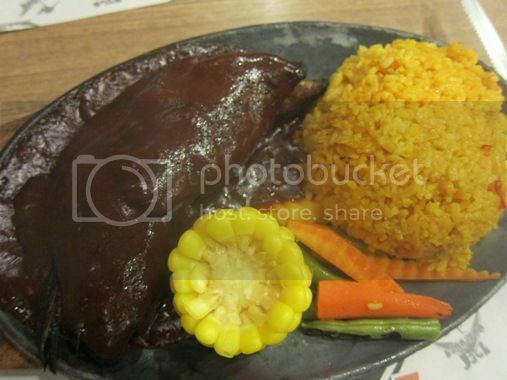 Sizeable serving of tender juicy pork ribs. Perfectly marinated with your choice of KJ’s special sauce, roasted to perfection with choice of Java rice or mashed potato served with steamed veggies and corn on a cob. This was for hubby. He said the taste was okay, but if you look at the picture, you’ll notice that the pork ribs were almost totally covered with Hickory BBQ sauce. Only a small portion of the pork ribs is visible in the photo. These were actually fruit juices served in shake form. This explains why these fruit shakes are inexpensive. We enjoyed these because we realized fruit shakes are more interesting to drink than fruit juices. The prices of food at KJ are quite affordable. However, I wish they make their serving size, especially for the Chicken Teriyaki, much bigger so the customers will get their money’s worth. 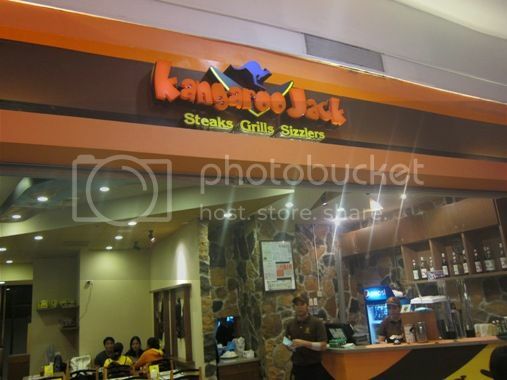 This entry was posted in Australian Cuisine, Food Friday, Food Trip Friday, Grills, Kangaroo Jack, Restaurant Review, Robinsons Galleria, Sizzlers, Steaks. Bookmark the permalink. Secondly, the prices at Kangaroo Jack are cheaper than most restaurants here at Panglao Island. The shakes here cost anywhere from 60 to 100 pesos. belated happy bday! im interested to try the tanigue steak. 😀 tanigue is one of the kinds of fish that i like. belated happy birthday to you. wished u good health and more blessings to come. Mj always love rice tops, kasi mainit daw and she likes it a lot. Visiting from FTF. I would love to have some of your four seasons drink ^^ The prices are quite reasonable ah. I was expecting it to be pricey being an Australian-themed restaurant. Visiting you back for FF and FTF. I miss tanigue steak, one of my favorites. And the dalandan shake sounds really good. Belated happy birthday! The spread looks delish and the fruit drinks look refreshing! Wow, I didn’t know they have KJ na at Galleria! It’s their branch in Cubao that I used to frequent to, good thing they have one near my place already 🙂 Thank you for sharing this and belated happy birthday! Quite affordable price especially Tanigue Steak which is really expensive in wet market. 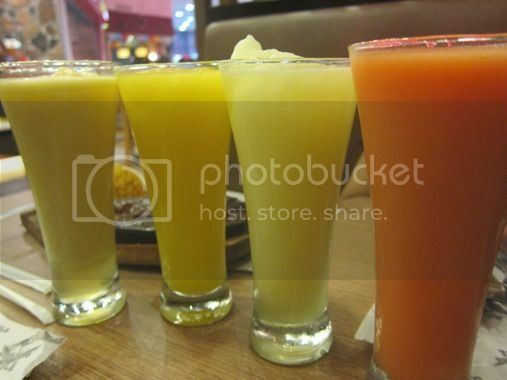 Maybe we should try fruit shake too the next time we dine in a restaurant and not the fruit juice as we usually order. thanks so much for sharing over at Food Friday! what a fun blow out Sis 🙂 all the foods look delish 🙂 Visiting from FTF, hope that you can return the visit too. ay nako naman…nakakagutom yung mga orders! We haven’t tried eating there yet but I heard they have Big Platter meals for sharing.